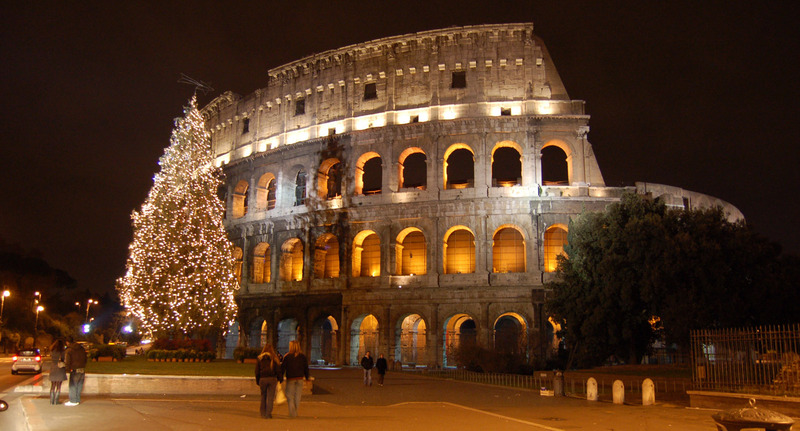 The Italian Christmas is special in its simple and sober nature. While everywhere else in the world, Christmas is a time for feverish commercial activities, Italy celebra tes its Christmas in a highly religious way. It is a time for prayer, get-togethers, gift exchanges and most importantly Nativity scenes or ‘presepe’. The Christmas celebrations start in Italy from 8th December, which is the feast of the Immaculate Conception. The construction of nativity scenes starts from then on. Unlike the usual nativity scenes all over the world, Italian nativity scenes incorporate all the possible day-to-day life scenes in the nativity. Apart from the holy family, magi, shepherds and their cattle, all the natural scenes like fields, houses etc. 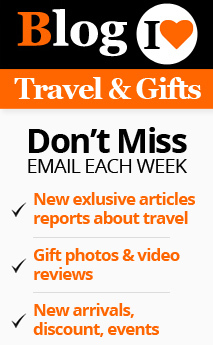 are also included. The nativity is sometimes arranged in a tall pyramid form. The upper shelves will be occupied by gifts and other decorations. 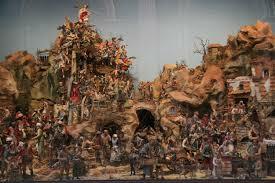 The nativity scenes in Naples are world famous. These are huge structures containing more than 500 handmade figurines and other objects. There is even a street set apart for these wonderful religious structures. The street is called ‘Via San Gregario Armaeno’. It is a tourist attraction during the Christmas season. The visitors and the local population visit the nativity street with extreme respect and piety. The Christmas activities commence in earnest 8 days before Christmas. The churches will be conducting special ‘Novenas’ during those eight days. The Yule log or ‘creppo’ will be burnt throughout the Christmas season. This actually represents the ‘tree of light’. The gifts for the family members will be placed in a large ornamental bowl called ‘the urn of fate’. Italians will be on a strict fast for 24 hours before Christmas. The fast ends on the Christmas Eve with a sumptuous dinner devoid of meat dishes. In southern Italy people will have a seven-fishes-dinner. Anyway, the Christmas Eve dinner serves only sea food with other dishes. During the night children dress up as shepherds and go about singing Christmas carols. They will be rewarded with money and presents by the people. The midnight mass is an extremely sacred affair. In Rome Pope will be conducting midnight mass in the Basilica and people will witness it through a giant TV installed in the square. Every local church will conduct the midnight service to commemorate the birth of the Holy Infant. After the midnight mass, the church-goers will enjoy Christmas cake, which is a fruit & nut sponge, and hot chocolate, to lessen the effect of the extremely cold night. Christmas day is marked with enormous dinners consisting of turkey, rabbit and many other Christmas delicacies. People visit each other’s houses and enjoy luxurious food. After the food games like Tombola and various card games are played. Christmas tree is not a ‘must’ in Italy. 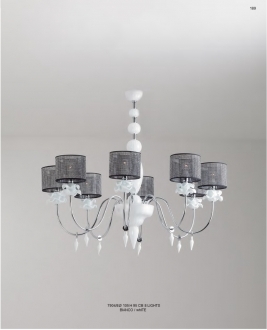 However, the particularly popular custom of the world has caught up with Italy also. There are a few highly decorated Christmas trees installed in various public places. Talking about Christmas trees, the tallest Christmas tree in the Guinness World Record is in Italy’s name. 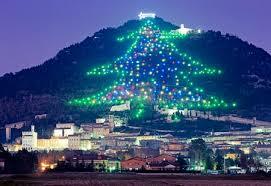 This is a wonderful and innovative Christmas tree made on the slopes of Mount Ingino. The mountain slope is lit up with innumerable electric lights to form the shape of a Christmas tree. It is 650 meters tall, 350 meters wide and illuminated by more than 1000 multicolored bulbs. From 2011 the tree is switched on by the Pope himself by remote using a tablet computer. Some cities like Verona and Turino are known for their exuberant Christmas illumination. 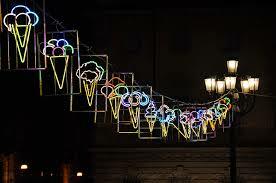 All the streets will be illuminated with electric bulbs. These decorations exhibit a high level of innovation and creativity. The illumination is done by expert illumination artists, to form various images and scenes with light. In some regions of Italy people go about in torchlight processions, remembering the shepherds who came in the night to visit the divine Infant. The torchlight parade conducted by groups of skiers down the Alpine slopes in Cortina d'Ampezzo on the Christmas night is really spectacular. A group of people from the mountains of Abruzzo will come down to the churches of the valley playing their bagpipes and flutes. They are called Zampognari. These people represent the shepherds who went around announcing the birth of the Son of God on the Christmas night. They will be dressed very colorfully with sheep skin vests and white stockings. Epiphany in Italy is as important, if not more, as Christmas. January 6th is celebrated as the day on which Infant Jesus was visited by the three wise kings with gifts. On Christmas night children hang their socks for Santa Clause to fill them with gifts. 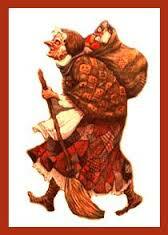 But they are smaller gifts compared to the gifts of Epiphany provided by a character called La Befana. She is supposed to be an old lady who had missed her chance of visiting the Holy Child because she had refused to believe the words of the kings. By the time she realized her mistake she was too late to catch up with them. So now it is believed that every year she comes in search of the Infant Jesus and not finding him, gives her gifts to the children of Italy. So the Italian Christmas comes to an end with the Epiphany.